Some of the contents of the home Frida shared with her husband, the muralist Diego Rivera — known as La Casa Azul (Blue House) in Mexico City — will be accessible for the first time in the United States in “Frida Kahlo: Appearances Can Be Deceiving,” an exhibition at the Brooklyn Museum, from Feb. 8 to May 12. Their belongings were to be locked away until 15 years after Rivera’s death, according to his instructions, but the task of unsealing and inventorying them didn’t happen until much later, in 2004. 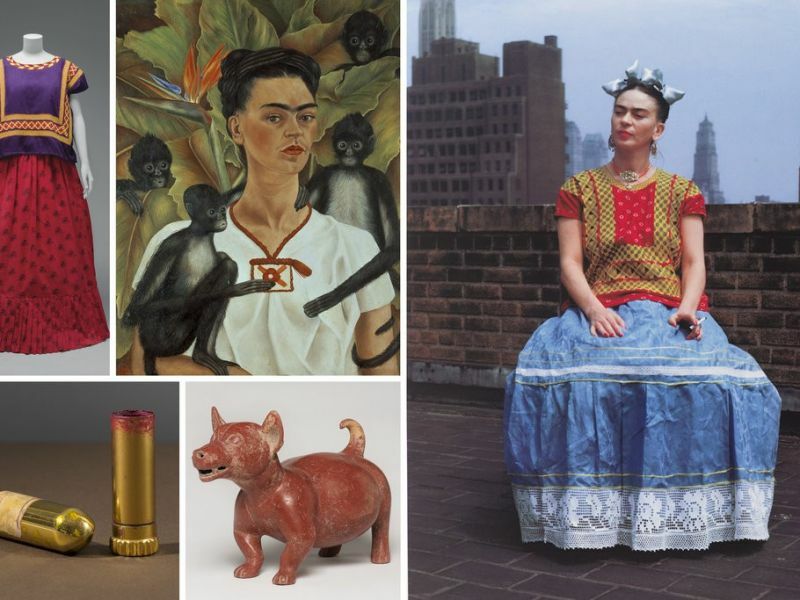 This is the biggest stateside show devoted to Kahlo and a considerably expanded iteration of last year’s exhibition at the Victoria and Albert Museum in London. Visitors will better understand Kahlo’s skill in searing her likeness into the public imagination, even if it meant dangling monkeys around her head and cultivating her most recognizable physical traits — a statement ’stache and unibrow. Neither her disabilities from polio and a bus accident, nor her frequent relapses of pain deterred Kahlo. By the time she died at the age of 47 in 1954, she left behind a public persona that is still being mined well into the 21st century; today she has more than 800,000 Instagram followers. Read the complete article by the New York Times at this link . Another interesting article dated 7/02/2019 is available here.